In their efforts to keep Evernote the no.1 in the productivity apps list of Android market, company has introduces a complete redesign for Android Tablet users! 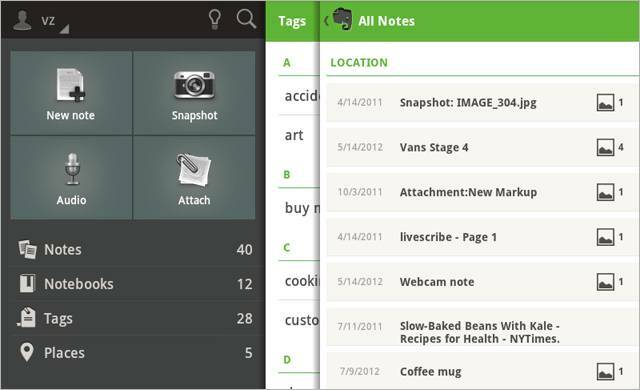 Evernote for tablet was initially criticized of not being optimized for the most important asset , i.e big screen of the Android tablets & this Evernote updates make sure that you get the most superior use of the app. Designed particularly for Android 4.1 users, this update brings major changes to the Evernote Homescreen, Navigation and optimization with both 7 inch & 10.1 inch tablet sizes. The thumbnail size with item description is changed to fit better on screen and it looks really fabulous on the 7 inch tablets like Galaxy Tab, Kindle Fire & Nexus 7. The home menu can be converted in to the list items and you can access notes more easily where you can see note title, description snippet and icons. There is an addition of swipe navigation which works fluidly while you move from left to right pane and Vice Versa. There are many gestures you can use to make your overall experience really promising. 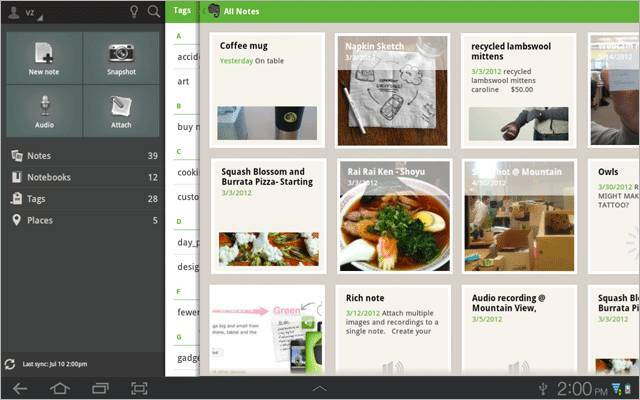 You can read full enhancement that comes with Evernote for Android Update here on official Evernote Blog. Juice Factory - The Original: Game Review For iPhone & iPad!